I'm back with another guest designs for My Favorite Things. 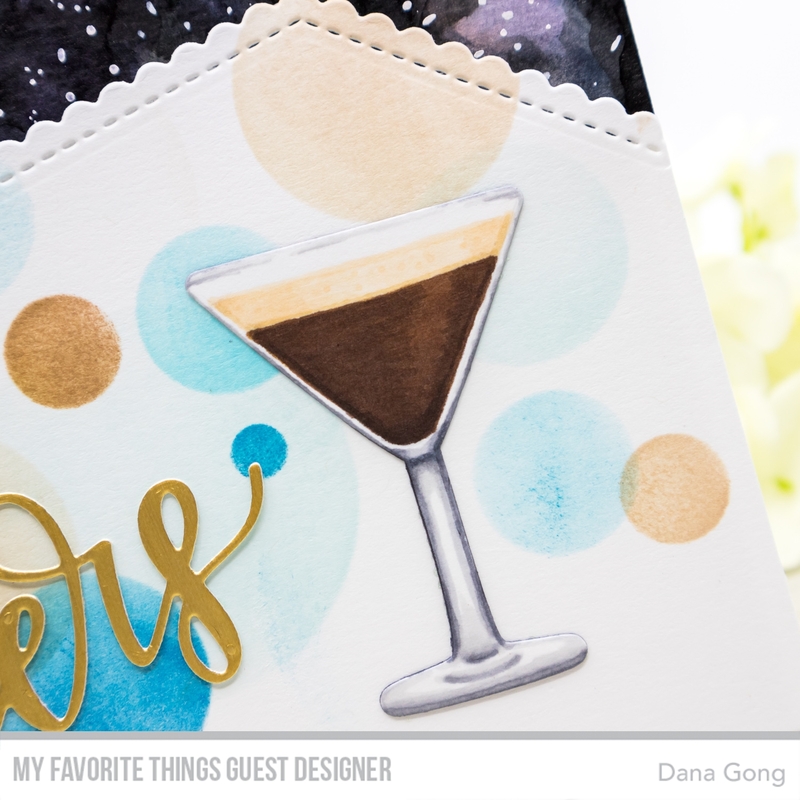 I'm featuring MFT Martini Time Stamp Set today and it was so fun to play along! 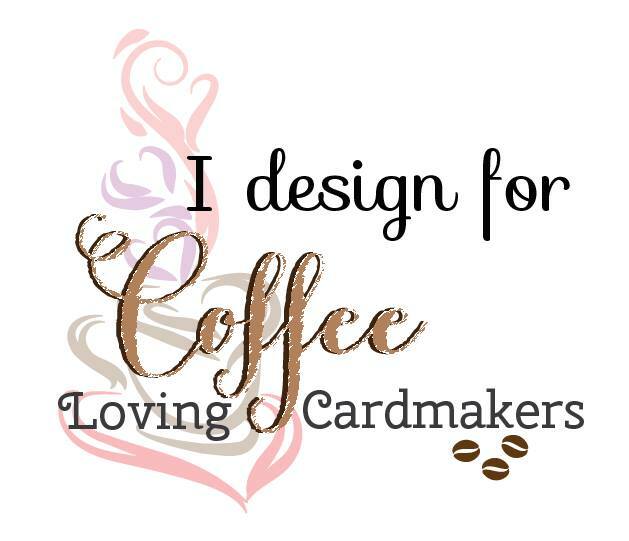 For my first card, I started by stamping the images from MFT Martini Time Stamp Set. I used Limeade, Lemon Drop, Safety Orange, Bubblegum and Grout Gray dye inks for martini glasses, Red Hot, Pink Lemonade, Limelight and Cactus dye inks for small images. 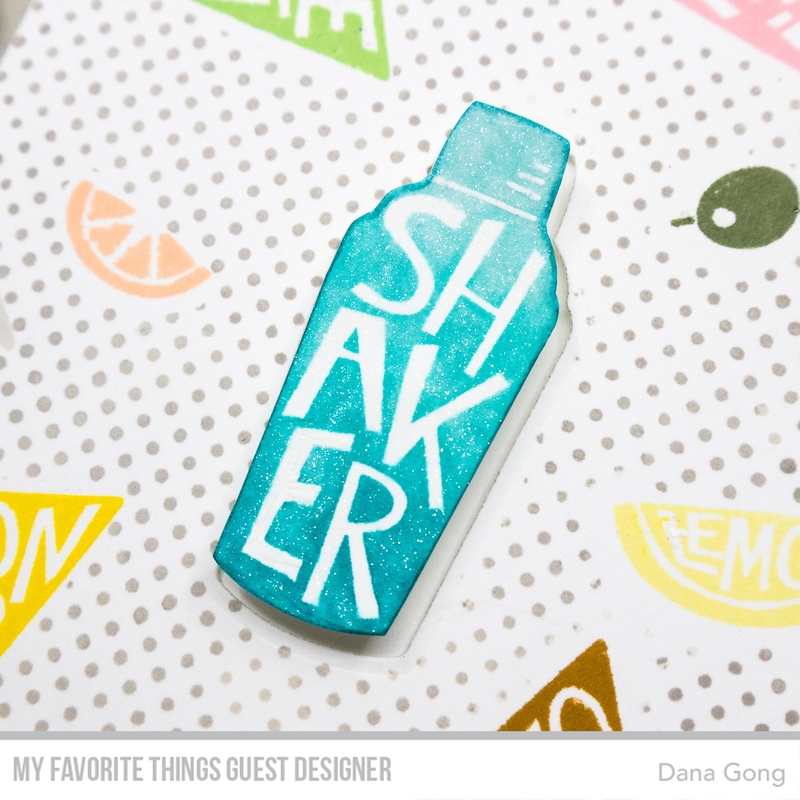 For the shaker, I stamped it with Summer Splash dye ink. Then, I sponged Blue Raspberry and Tropical Teal dye inks to clear stamp using mini blending tool and stamped it again to give it a gradation effect. 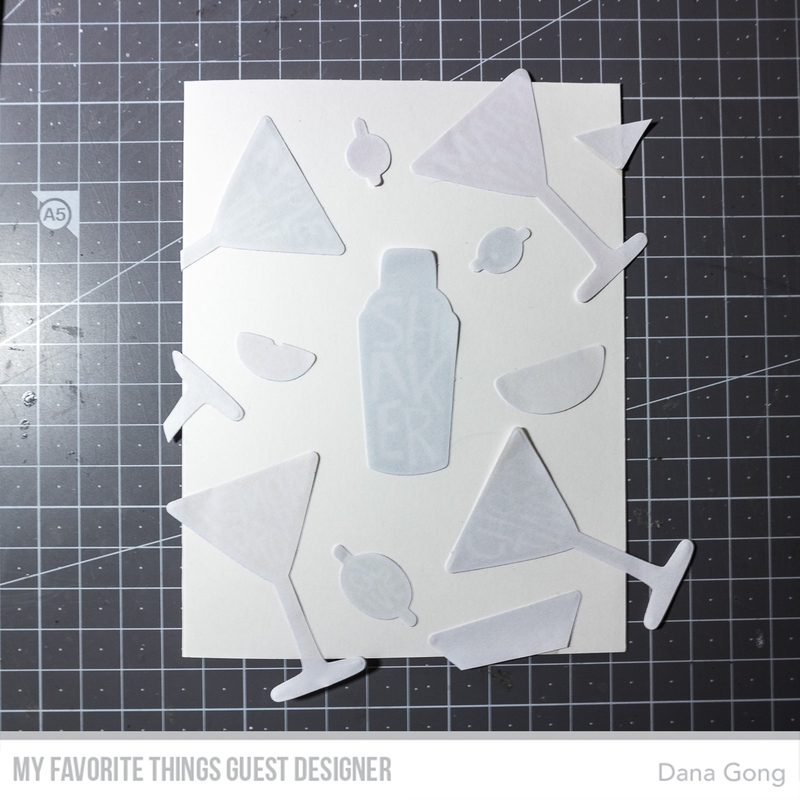 I then die cut all images from Inkadinkado Stamping Mask Paper using MFT Die-namics Martini Time. 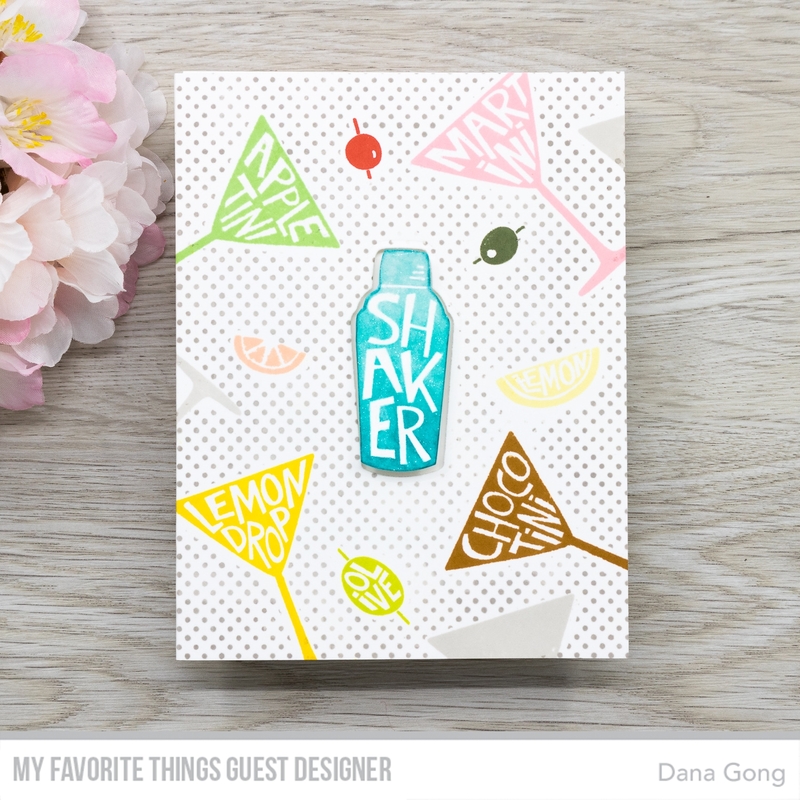 After masking the images, I stamped MFT BG Itsy Bitsy Polka Dots Background onto the panel as shown in the picture. I used Grout Gray and Cement Gray dye inks. 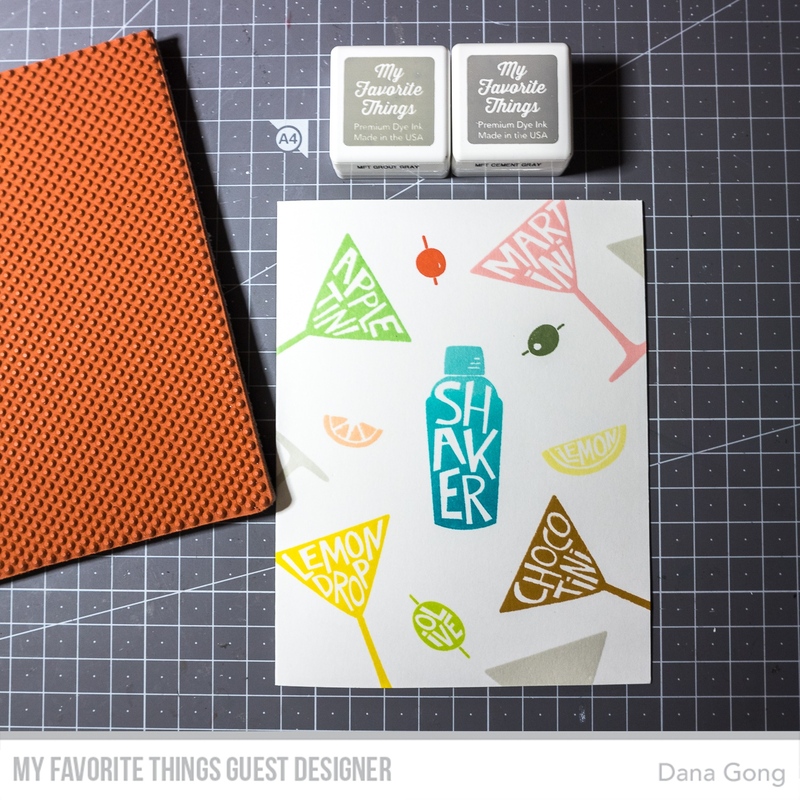 Next, I die cut the shaker using coordinating die and fussy cut again with scissors. I then applied glitter pen to it and adhered a mini wobble spring behind it. 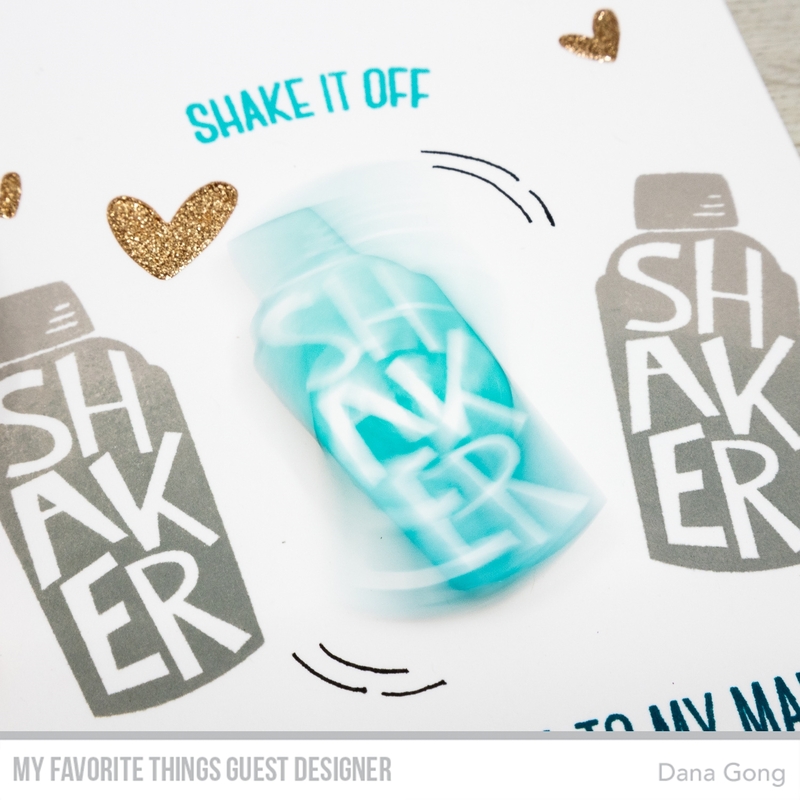 I pulled out another A2 sized card base and stamped shaker images. I gave them a gradation effect again using Grout Gray, Cement Gray and Steel Blue dye inks. I stamped sentiments from same stamp set using Blue Raspberry and Tropical Teal dye inks as well. I mounted two card bases each other with a glue tape and adhered some stickers as shown and finished off this card. 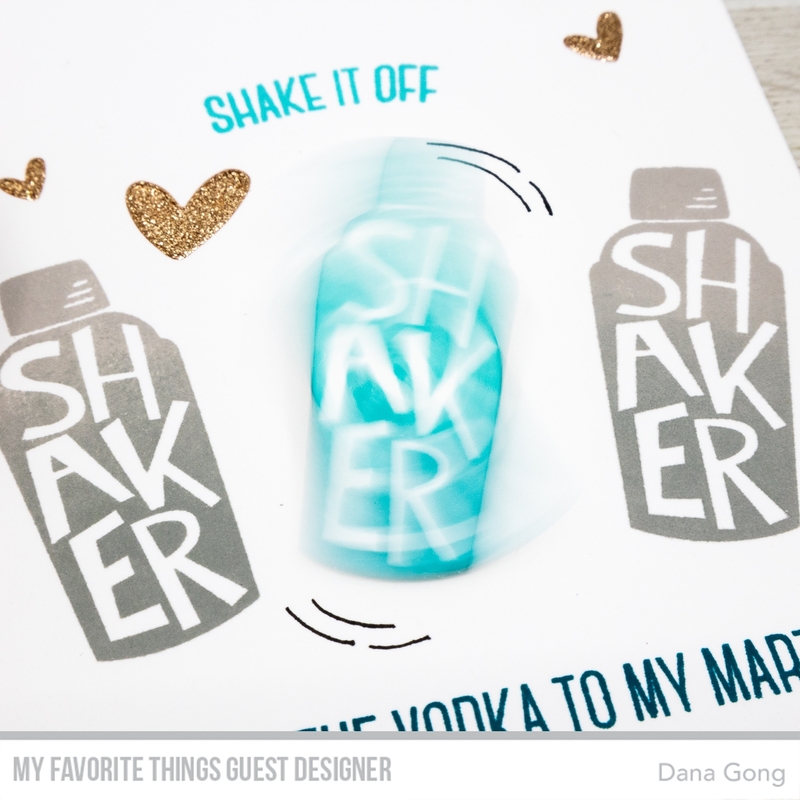 Now it's time to shake it off! For this card, I began by watercoloring the galaxy background using Gansai Tambi watercolor paints. I splattered white inks here and there and mounted it on an A2 sized white card base after it dried. I die cut martini glass using MFT Die-namics Martini Time and colored it with alcohol markers. Next, I die cut a piece of white card stock using MFT Die-namcis Stitched Scallop Basic Edges. I then stenciled circles from MFT Stencil Basic Shapes-Circles using dye inks and mini blending tool. 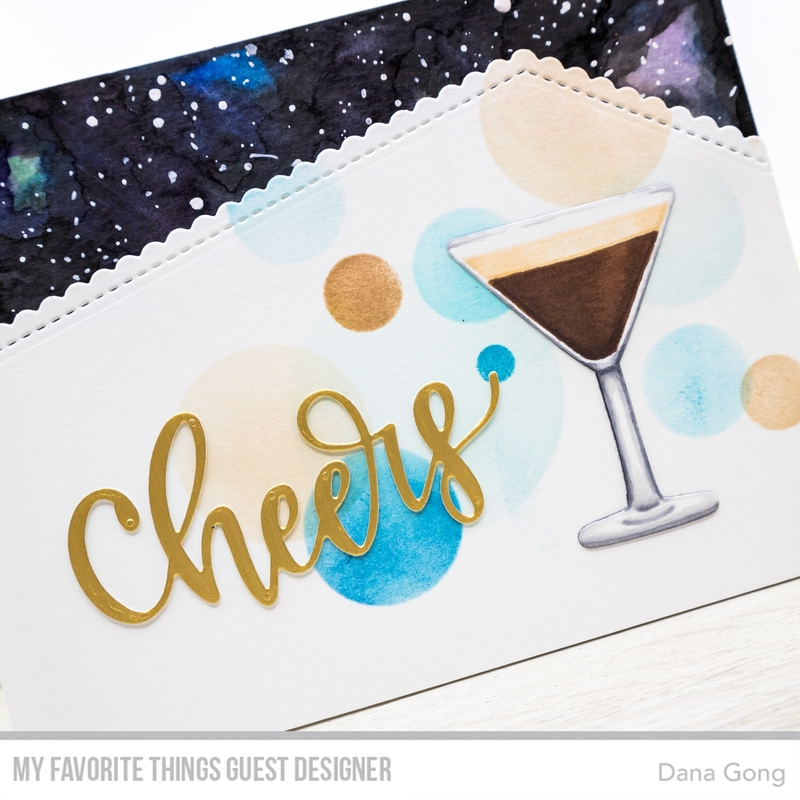 I also die cut sentiment from metallic gold card stock using MFT Die-namics Cheers. To finish, I foam mounted the scallop panel using craft foam and double sided tape and glued all elements as shown. Thank you for joining me today. 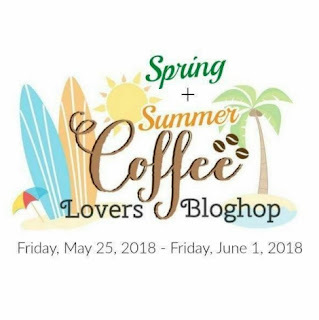 I hope you've enjoyed these cards featuring FABulous May Release! 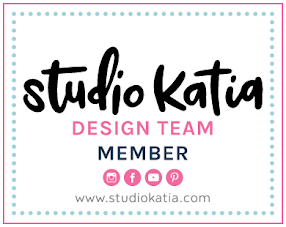 If you want to see my previous guest cards, click HERE and HERE. 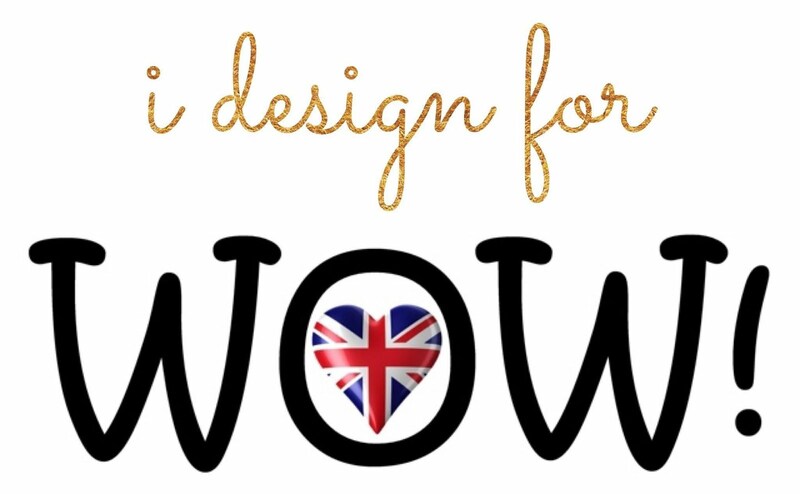 I'm sharing a listed supplies I used today. I'm a part of MFT affiliate program and if you shop through these links, I'll get a small commission without extra cost to you. Thank you in advance for your support. 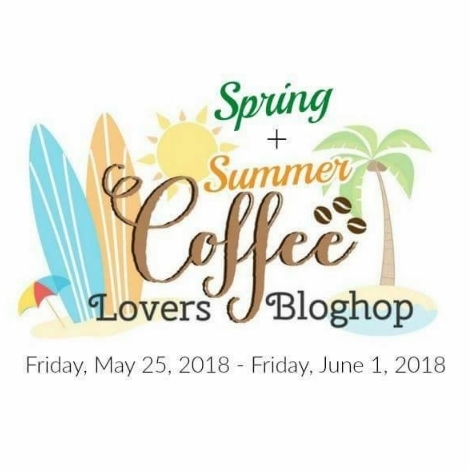 I'm linking up my second card to Coffee Lovers Spring / Summer 2018 Blog Hop. 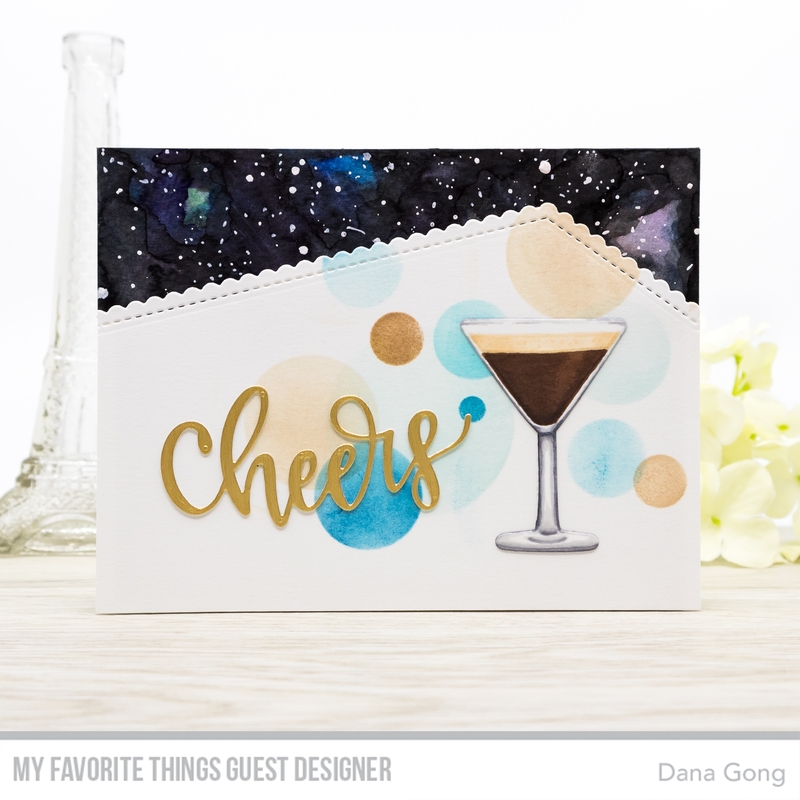 Dana, these are both so much fun, love the espresso Martini! 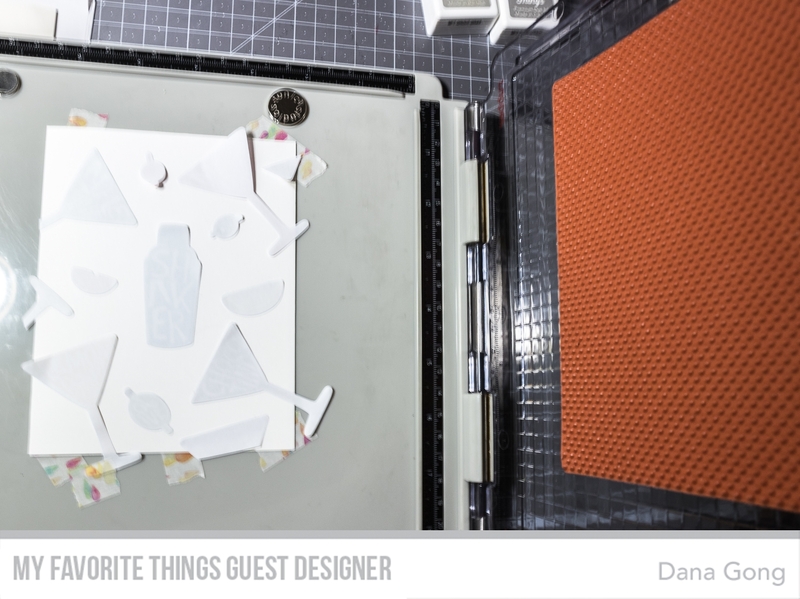 So wonderful to have you guesting at MFT! 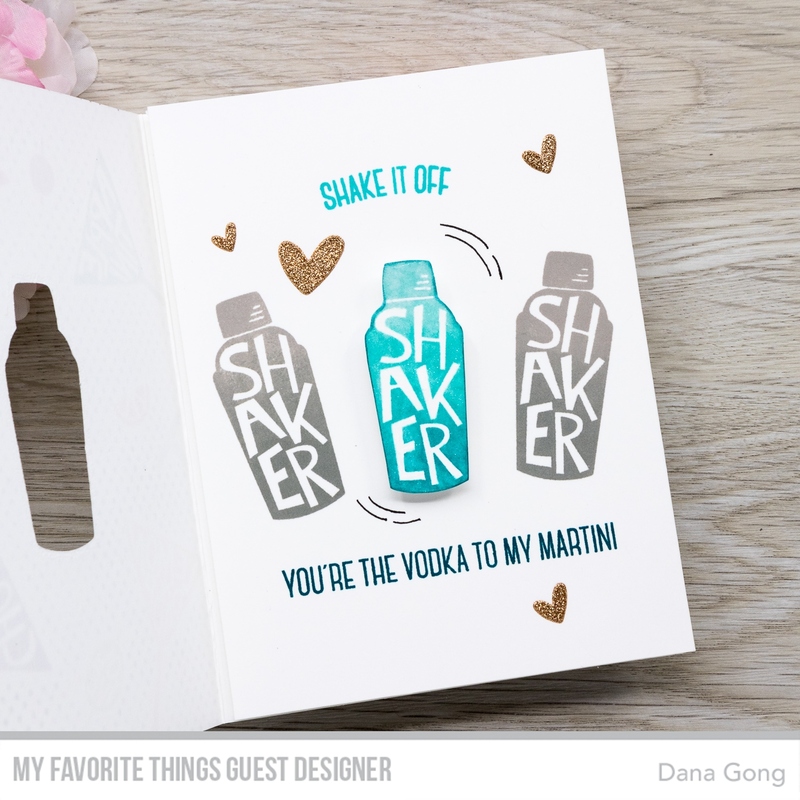 LOVE your cards--the wobbly shaker is so cute, and that espresso Martini? Yummmmm!!! 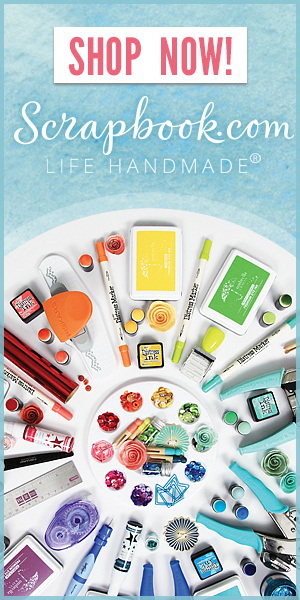 SO colorful and so much fun. Lots of fabulous touches. I like how you put the shaker on a wobble spring. Great Expresso martini Clever designed card. These are awesome! And I have no interest in Martinis, but Espresso Martino..hmmm... maybe! 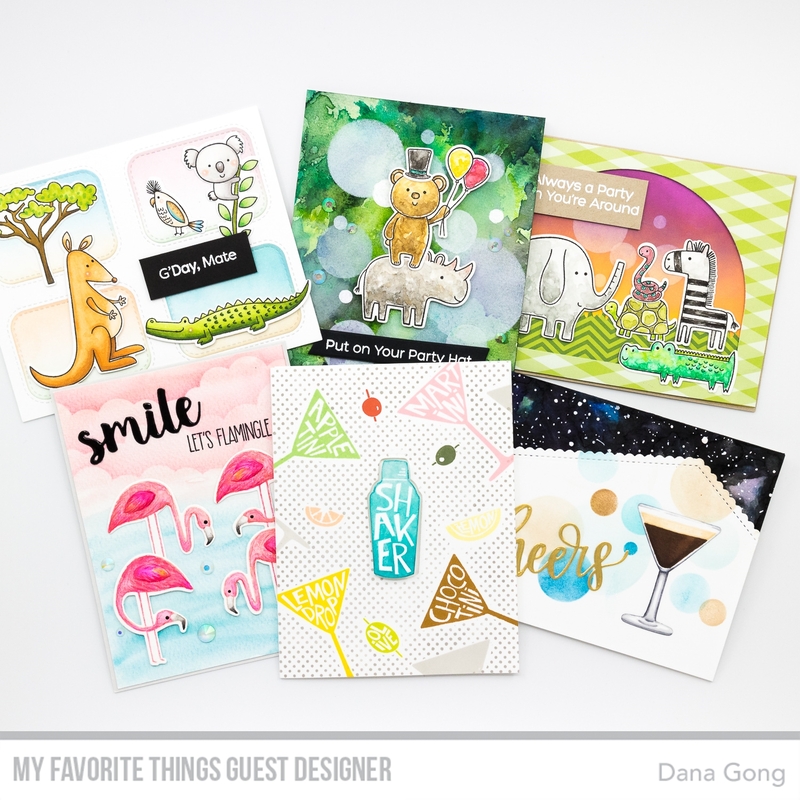 Pretty cards and fun images.